The Germans claim today that at 7.30 p.m. they made (it was launched to cover their retreat) a successful destroyer attack (in daylight of course). Well, I saw it – eight huge modern boats – and a fiasco it was. We hit and stopped two; some other ship knocked out a third; two more were cut off by our light cruisers and presumably sunk; the remaining three bolted. Successful? I don’t think. 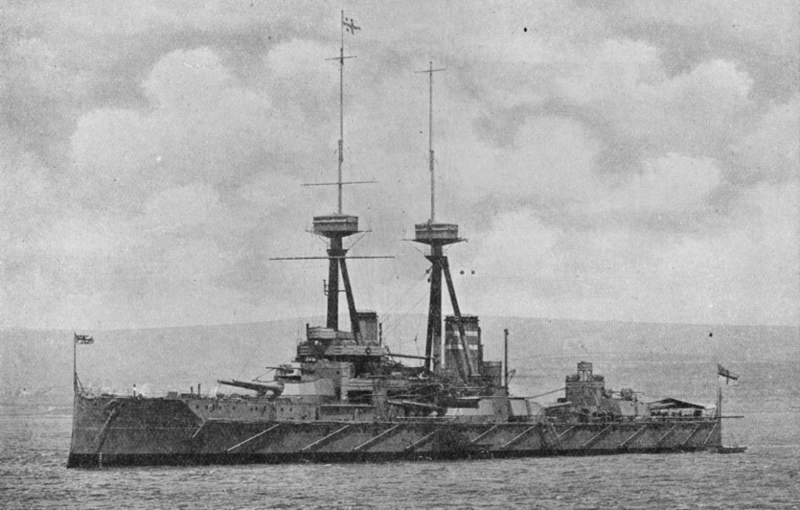 We have a further information from Commander Geoffrey Freyberg, who is being kept busy writing up the events as experienced by HMS Valiant at the Battle of Jutland. I must have seen as much of the fight as any man in the fleet. Beatty got hell to start with, as, to his surprise, the Huns accepted action with the utmost alacrity at 5.30 p.m. on the 31st. At 4.01 we came into action; at 4.02 ‘Indefatigable’ blew up; at 4.15 ‘Queen Mary’ ditto. Not an encouraging start, as I saw both go. 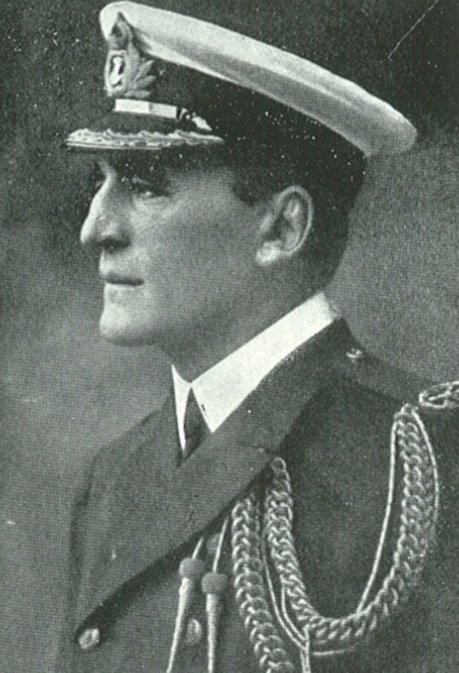 Further news of the Battle of Jutland comes from Commander Geoffrey Freyberg (HMS Valiant). His ship is part of the 5th Battle Squadron under Admiral Beatty. Unfortunately I cannot include all of his letter here. Some of it has to be censored to meet the requirements of paragraph 453, King’s Regulations. 4/6/16. “And now you know why I’ve not been able to write for so long. By all the laws of the game I ought to be dead at the bottom of the North Sea, but some Divine Providence watched over us throughout the fury of the long battle. I really thought at the time that death was on the threshold. Well, I was not touched in any way throughout the long day and following night. 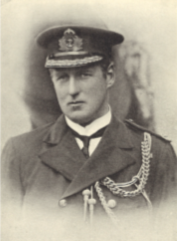 Many friends are dead, but it was a fine finish as we drove the Huns after the arrival of Sir John Jellicoe, but it was Admiral Beatty and his friends who bore the heat and burden of the day until he came. One was far too excited to be afraid, as the panorama was simply stupendous; the dead and dying in the water; ships vanishing close by; the lame ducks on both sides being polished off. It was hell, but an intensely interesting hell. I reckon we killed 1500. Geoffrey is the older brother of Lieut-Commander Lance Freyberg (who was killed in May when HMS Russell was mined). As far as one can tell, there have been no other casualties amongst the naval Old Dragons at Jutland – for which we are all most thankful. Charles Fisher’s brother Captain William Fisher (HMS St Vincent) was also involved in this action, and was lucky enough just prior to the battle to be able to spend some time with Charles. “Exactly twenty-four hours later the ‘St. Vincent’ steamed past the wreck of a ship which we took to be a German. 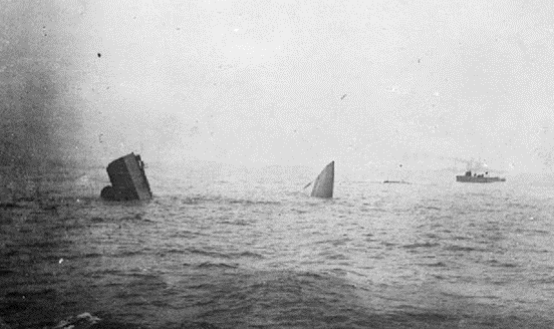 We were, with other ships near us in the line, engaging four German Dreadnaughts at the time, but I looked to see if there was anyone in the water near this ship and saw nothing – not even floating wreckage. All round was still calm water. 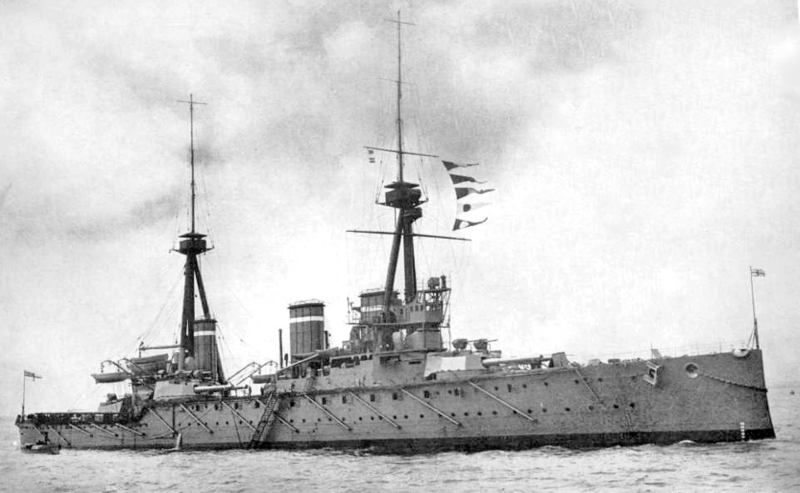 It was not long before someone spotted on the starboard side at the stern, the name: HMS Invincible, and William realised that he had lost his brother. “I am comforted by the knowledge that he who had seen so much carnage will have steadied everyone near him. These are sentiments we can all share. It is good to read some good news at this time. In today’s Court Circular column it is recorded that Commodore Reginald Tyrwhitt was yesterday invested by the King at Buckingham Palace with the insignia of a Companion of the Distinguished Service Order. It transpires that there were only six survivors from HMS Invincible and it is by extraordinary luck that one of them, Commander Dannreuther, was at the side of Charles Fisher when the explosion occurred. “We hit the Derfflinger with our first salvo and continued to hit her entirely owing to the perfect rate Charles gave us. It was all over in a few minutes and death came suddenly and painlessly. Everything was going splendidly at the time, and it was entirely due to Charles’ cool head and excellent judgement that our firing was so effective. I saw him only a few minutes before the end – a smile on his face and his eyes sparkling. He was by my side and in the highest spirits when there was a great explosion and shock, and when I recovered consciousness I found myself in the water. Commander Dannreuther estimates that this great ship went to the bottom in a matter of only 15 seconds. Never have truer words been said of our dear friend. 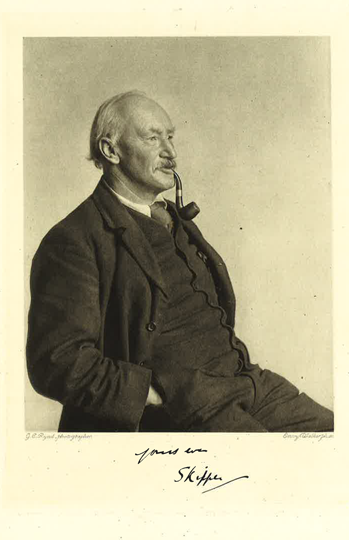 He was a don at Christ Church from 1901-14. In 1910 he was Junior Censor and then became a member of the Board of Faculty and of Literae Humaniores and finally Senior Censor. Academically, his special study was Tacitus, on whom he did much work as editor for the Oxford University Press. He was widely read in Modern & Medieval literature, English, French and Italian. He achieved his ‘Blue’ at Oxford and played a number of first-class games for Sussex (his highest score being 80 against Worcestershire). He was present at all our OD dinners from 1908-13 and frequently used to stroll up to the school to encourage and criticise our games. He once told me that he and I had been classed together as the worst dressed men in Oxford – a great honour to me! And he would laugh his glorious laugh and pull out a dirty pipe and tell us some undergraduate story or some anecdote of his many travels; and always a shadow seemed to fall as he strolled away. That shadow is today a very long one.